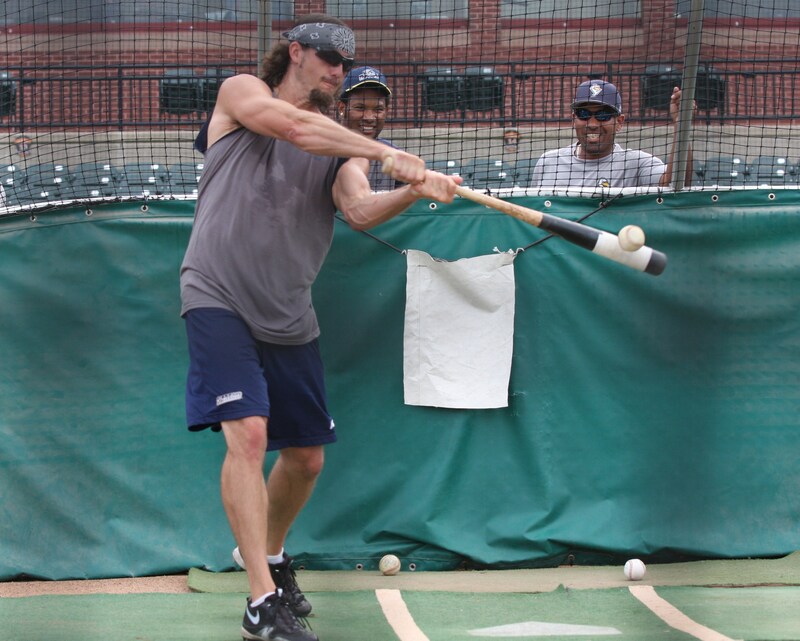 After each majestic, soaring home run Chris Nowak hit at Sovereign Bank Stadium the last two seasons, the familiar refrain of “what is this guy still doing here” would murmur throughout the ballpark. Finally, the Arizona Diamondbacks have discovered what most Revolution fans have known for a while: Chris Nowak can hit, and hit it far. 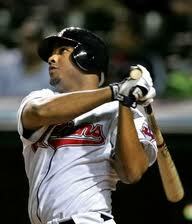 The Revolution all-time home run king has inked a deal to go to spring training with the D-Backs. It’s once again the classic Catch-22 for Yorkers; while we’d love him back in a Revs uniform, Nowak now has another chance to break through and make his Major League debut. Nowak finished the 2012 season with 34 homers, destroying his own previous franchise record of 25 in 2011, which eclipsed Jason Aspito’s 24 in 2008. It was the first 30-home run season in the Atlantic League since Jesse Hoorelbeke hit 33 for Bridgeport in 2007. Nowak’s career Revolution total of 59 home runs gives him a 17-homer lead over Aspito for the all-time franchise lead. 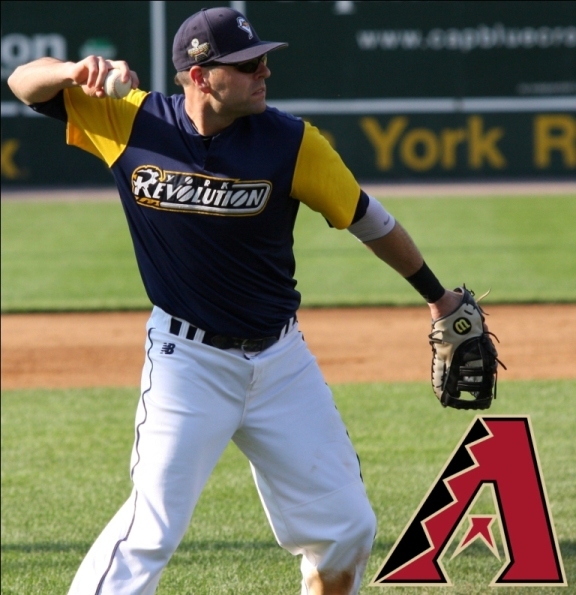 Nowak also knocked in 107 runs in 2012, which surpassed Aspito’s previous franchise best of 105 in 2008. Nowak’s homer and RBI total were the most for each category in the league since 2005. Despite those gaudy numbers, Nowak was NOT chosen as the Atlantic League’s Player of The Year. But that is a debate for another day. Today is a day to congratulate him. 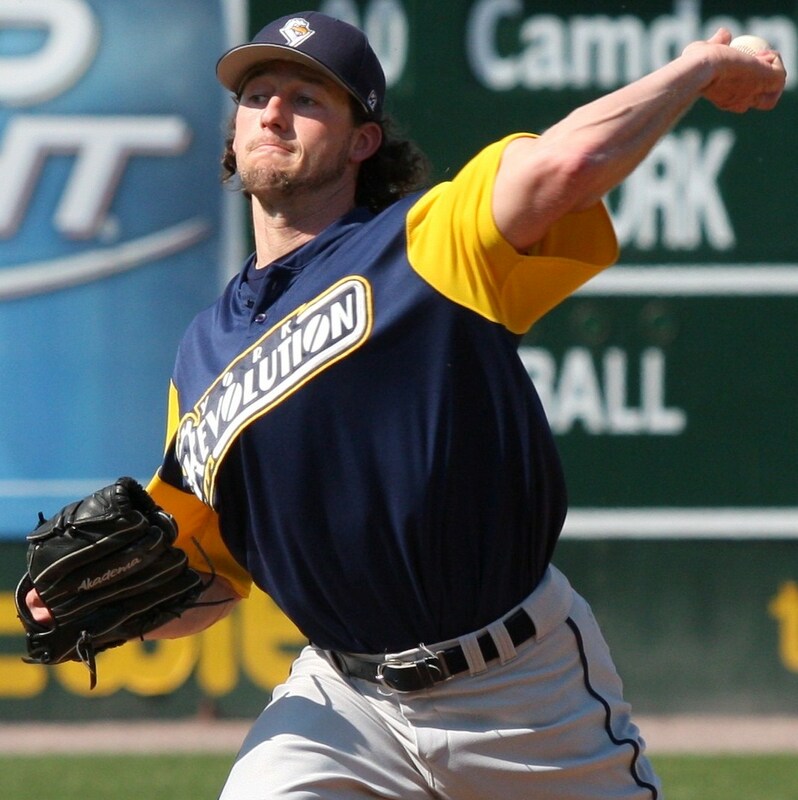 In this week’s edition, we celebrate reliever Kris Regas re-signing with the Revolution by sharing this column about him that ran in edition number 8 of the York Revolutionary Times in case you missed it at the ballpark last season. Don’t let that quote by Revolution bullpen lefty Kris Regas fool you – he is a good college math teacher. At least that’s what his students said when Darrell Henry stalked him on RateMyProfessors.com when putting together his bio for the 2012 media guide. 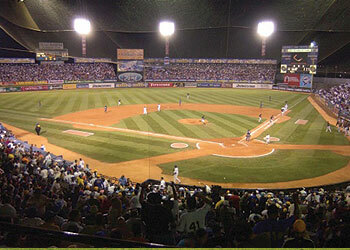 Chris Nowak’s homefield, Estadio Jose Bernardo Perez in Valencia, Venezuela, home of tonight’s Championship Series opener against Joe Thurston, Johan Limonta, and Cardenales de Lara. 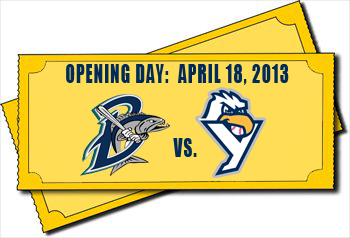 The Revolution has announced individual game tickets for the 2013 season will go on sale in-person and online Saturday, February 9 at 10 a.m. The Apple Chevrolet Ticket Office at Sovereign Bank Stadium will be open that day from 10 a.m. to 2 p.m., and if you would like to meet Manager Mark Mason or Pitching Coach John Halama, stop by between 10 and Noon. They’ll both be there signing autographs and chatting up fans during that time. 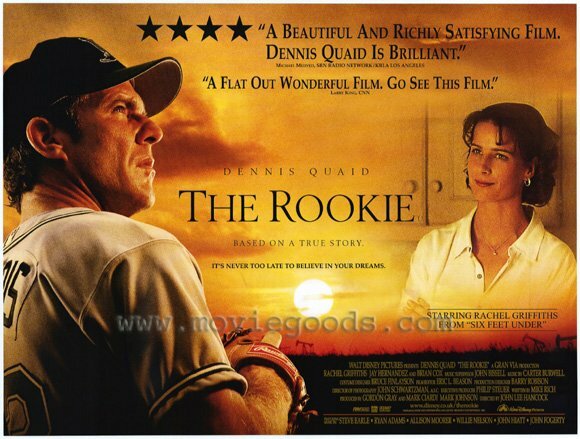 While we can’t guarantee coming to the York Revolution open tryout will result in you making the Major Leagues followed by a movie made about it featuring Dennis Quaid, we can guarantee it will be fun. This spring, the open tryout will be held in the evening under the lights for the first time. And yes, the Revolution have had players participate in regular season games after attending the tryout, and others who were with the club in pre-season camp. The York Revolution will be holding its annual open tryout on Friday, April 5, 2013 at 5:45 p.m. (Rain date is Saturday, April 6. Registration will begin at 4:30. The cost to attend the tryout is $40, a fee which is non-refundable. Checks are made payable to the York Revolution. Players must be at least 18 years of age to tryout. The tryout will take place on the field at Sovereign Bank Stadium in Downtown York, located at 5 Brooks Robinson Way. Players must provide their own equipment for the tryout, other than batting helmets, which will be provided by the Revolution. To register, please download the tryout form below and mail back with payment. Players are encouraged to register in advance, but day-of registration will be allowed if spots remain. The open tryout has yielded results for the Revolution in the past; spot starter Shawn Hedrick pitched for the Revs in 2009 and 2010, pitcher Brian Holliday and outfielder Colin Roberson were also each offered contracts for the 2009 season after participating in the open tryout, as was catcher Salomon Manriquez in 2010. Any questions regarding the open tryout can be directed to Baseball Operations Manager Andrew Ball, at aball@yorkrevolution.com.